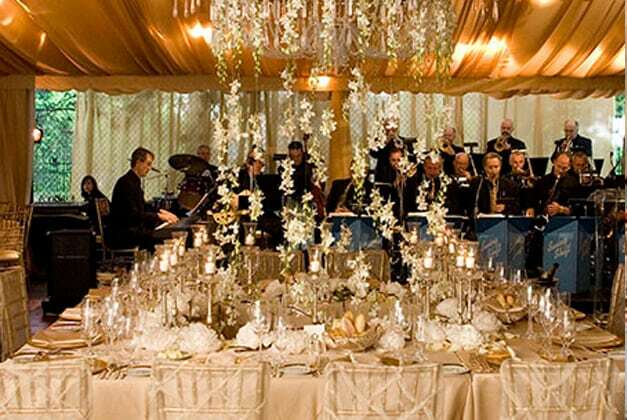 At Regal Tent we have a reputation for enabling creative event planners to turn their visions into reality. Wedding planners, in particular, are consistently challenged with bringing their clients’ once-in-a-lifetime dreams to life. 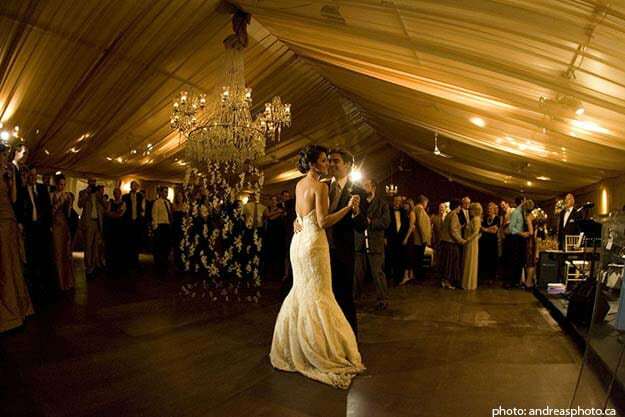 In this instance, a society-wedding with 280 guests, in the backyard of the family’s estate, featured two connected yet visually distinct tented spaces. Working in close collaboration with a top notch team we helped create an expression of pure elegance. Erecting our structure over a tennis court we provided a stunning facility which was further enhanced by the planner with special touches. The ceilings were lit and draped with diaphanous material to soften the light. Custom chandeliers and live orchids added sparkle to the surroundings. 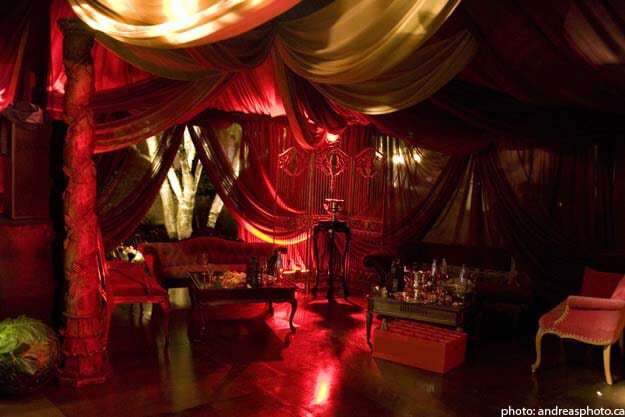 The connecting environment featured a rich, red Moroccan theme to transport guests to a different time and place. The result was a magical illusion – a five-star facility created on a site close to the couple’s hearts that virtually disappeared after the wedding.